“Curiosity Thrilled the Cat: A Magical Cats Mystery “, by Sophie Kelly, is book one in one of my favorite cozy mystery series, Magical Cats Mysteries. The book is centered around Kathleen Paulson, a librarian, who is called to a small town to restore a hundred year old library. Two unusual feral cats followed her home and showed their tricks they use to help Kathleen solve a murder. The victim is found dead by Kathleen one morning. In looking into the murder, Kathleen finds out that Mr. Easton has a secret which she suspects is the reason for his death. Meanwhile, the cats surprise Kathleen by the “tricks” they can do to help her out. In the end, they use their tricks to save Kathleen when she reveals the killer to all. This cozy mystery has everything; romance, intrigue, secrets and, most important of all, murder! I was entranced by Curiosity Thrilled the Cat: A Magical Cats Mystery from the very first page, when we are introduced to Kathleen, Owen, Hercules and Freddy, the Funky Chicken. Kathleen comes off on paper as a “real” person. Ms. Kelly’s other characters were great as a support cast. All in all, I found this book a lighthearted story, during which, when I wasn’t trying to figure out what was coming next, I was laughing at the cat’s antics. 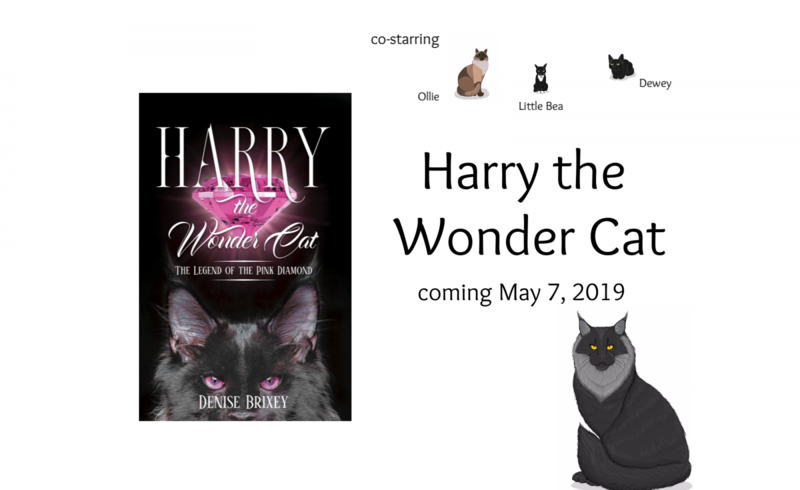 I give Curiosity Thrilled the Cat: A Magical Cats Mystery five out of five stars and strongly urge anyone who enjoys cozy mysteries and cats to read this series. If you want to meet these zany cats, too, click the link below.